DUSSELDORF - Airberlin is ending its Caribbean flight schedule from Dusseldorf on 25 September 2017. This brings to an end flights to Curaçao (Dutch Caribbean), Cancun (Mexico), Havana and Varadero (Cuba) as well as Punta Cana and Puerto Plata (Dominican Republic) from this date. Airberlin kindly asks passengers who booked their flights as part of a package holiday to contact their tour operator for further information. For any tickets bought after the filing for insolvency proceedings on 15th August 2017, we will reimburse the purchase price without charge. Affected passengers are able to submit any additional costs incurred through the website www.Airberlin.com/complaint. Tickets that were issued before the filing for insolvency proceedings will not be reimbursed due to insolvency law regulations. 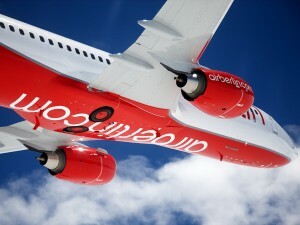 A few days ago, Airberlin announced cancellations of a number of individual long-haul flights. These cancellations will also be brought forward to 25 September 2017. This affects connections between Berlin and Abu Dhabi, Chicago, Los Angeles and San Francisco, as well as Dusseldorf and Boston. Airberlin apologizes for any inconvenience caused by the cancellations. Background to today's decision is a reduction of Airberlin’s long haul fleet which became necessary due to the current preliminary insolvency proceedings.